I am a bit crispy after a day at the beach yesterday. Oops. My parents brought with them tons of floats and inter-tubes. We had one fun day in the sun…Lily, too! That girl is a BEACH BUM. She doesn’t get in the water past her nose, but Mr. Prevention told me he purchased her a life jacket off Amazon, so that should be arriving soon. 🙂 She learned a while back that she quickly sinks in water, but she absolutely loves the beach and I want her to take full advantage…and learn to float! As excited as I am about my job, I wouldn’t be sad if they pushed out my start date to fall. It’s hard to be excited to go to work when you just want to hang out at the beach all day. Plus, I haven’t accomplished all the leisure reading I wanted to do. Moving states away = work. My book for work is coming along, however…and it’s interesting. Bonus. Before we left Ohio, packaged tuna was one of the few non-perishables I challenged myself to use up. The thought of tuna being on a hot moving truck for a few weeks just didn’t sit well with me. I actually really like tuna, plus it’s so affordable and healthy…I just never think to use it for some reason. My mom mentioned that she recently read an article on tuna and the pros vs. cons of water-packed tuna. While the water pack saves on calories, if you turn around and combine the tuna with an abundance of mayonnaise, you’re adding the calories right back in. While this recipe does use my beloved mayonnaise, it also uses the learner, lower calorie plain Greek yogurt for added creaminess, moisture, and tang. 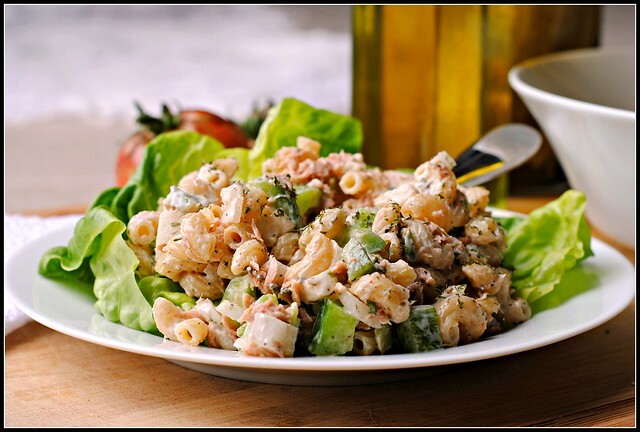 This pasta salad is the perfect light lunch, or addition to your summer picnic or barbecue. 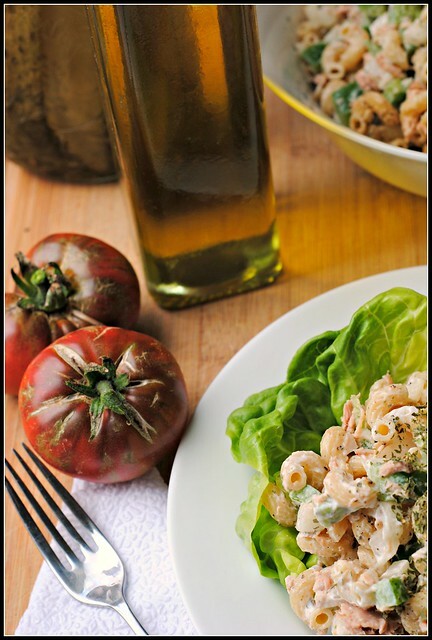 Between the lean, heart-healthy tuna and whole wheat pasta, this pasta salad offers up a lighter version of a classic. Instead of celery, this pasta salad uses green bell pepper and onion for that crunch. Cook pasta according to package directions. Drain, then rinse with cold water. Combine tuna, bell pepper, onion, mayonnaise, yogurt, spices, parsley and cooked pasta. Mix well. Result: Simple, classic, and lightened up! 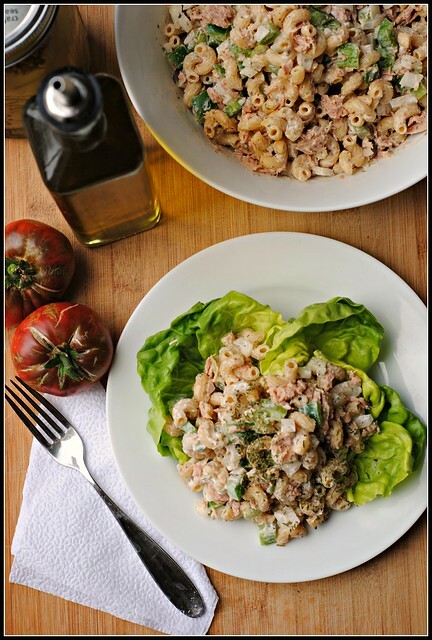 Pasta salad meets tuna salad! If you serve this as leftovers, you may need an additional tablespoon of mayonnaise/yogurt as it tends to dry up a bit. Overall, it does keep well for several days, however. Enjoy! We are doing waffles at home and then I’m showing Mr. Prevention, Ma and Pa Prevention, and Kristen my new work. I’ll try to drum up some excitement for my Monday start date. 😉 Not sure what else is on the agenda! 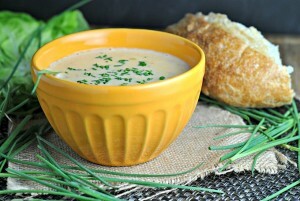 « Creamy Radish Dip & Happy 4th! Oh it’s getting so close to the start date! I can’t wait to hear more about it. I’m so excited for your Nicole, running your own hospital food service 🙂 My dream job! I really hope you like it. I love tuna, and always have about 4 packs in the cabinets for those nights I just don’t feel like cooking. This recipe sounds like a keeper. Aw, I’m sure you’ll love it once you get back into the swing of things. Of course, until then, enjoy the summer days off! When I was in college, the 7-11 on campus had tuna pasta salad to DIE for. I would eat it just about every day… it was a sickness. But I haven’t been able to find anything similar until now. I cannot wait to try this! And yes, pictures of Lily in a life vest are absolutely necessary! Kim, I agree with you 100% about 7-Eleven Tuna Macaroni Salad. The stuff is awesome! I usually made a meal of that, and two hot dogs, washed down a diet Coke. Nothing was more crushing than getting to the store, only to find they had sold out their meager daily allotment. I have searched the internet for years, trying to find the recipe for that wonderful product, but alas, in vain… (In fact, that’s how I found your comment.) I’ve tried dozens of Tuna Salad recipes over the years, and while many were quite good, none compare to the simple goodness of 7-Eleven’s Tuna Macaroni Salad. 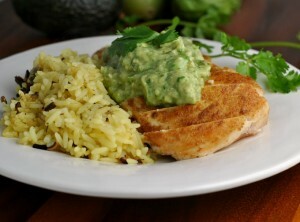 Hi Kim and Rick – have you tried this recipe yet? 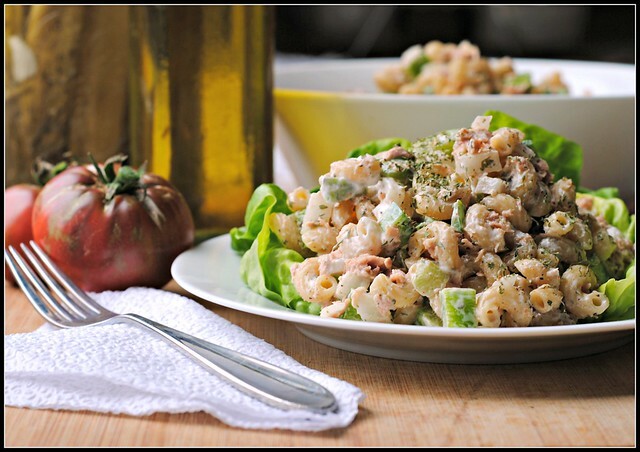 I also stumbled on this page after a search for 7-11 tuna macaroni salad recipe! I am going to make the dish as a side for a BBQ this weekend and I have been searching many recipes and researching the different ways people make it. One this is for sure, I always have cans of tuna, packages of pasta, and some random veggies in the fridge! This is a go-to meal/side that I should really remember to make more often. Thanks! You are definitely right when it comes to water packed tuna. So often people add in mayo. I can just picture Lily on her float or innertube enjoying the sun’s rays. Hi, Silly question but does this call for 5oz of cooked pasta or do you measure 5 oz uncooked?